Sachs Motorcycles is a German based motorcycle manufacturer, founded in 1886 in Schweinfurt. It is the worlds oldest motorcycle manufacturer. In 1904 they manufactured their first motorcycle. Sachs took over Victoria, Express and DKW in the 1960's, and began to supply motorcycles for the German Federal Armed Forces in 1992. In recent times, Sachs had been reduced to local assembly of making small, cheap, Chinese-sourced scooters, which weren't doing well. The unique, distinctive MadAss was the last real Sachs-engineered motorcycle made. After facing a series of financial problems, stemming from pensions issues relating to the Hercules bicycle works, the company went into insolvency proceedings and ultimately saw a management buy out. 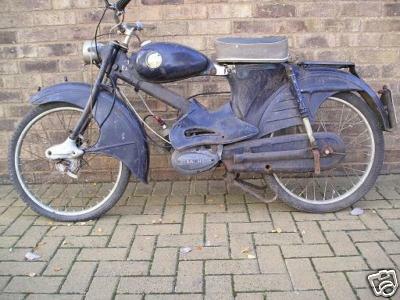 1957 Sachs Leopard Bobby The "Rolls Royce" of mopeds, a genuine classic! 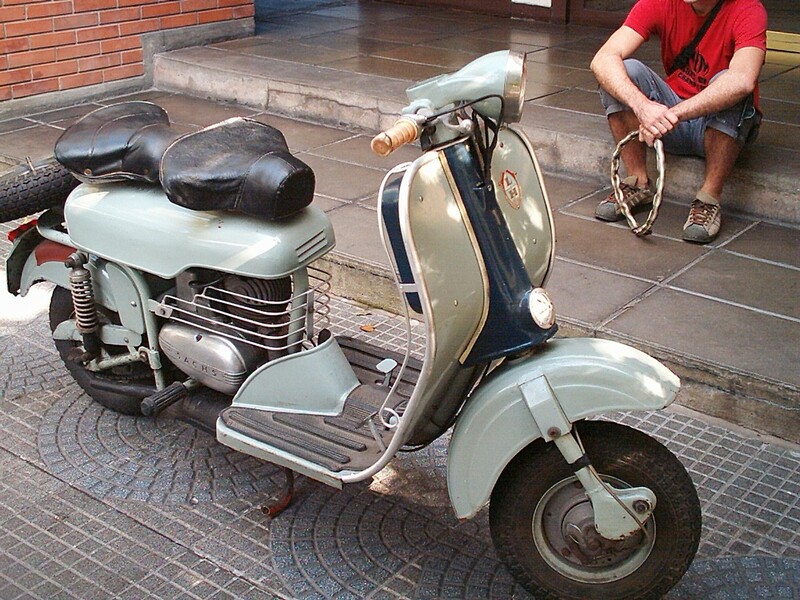 50cc, 3 speed. 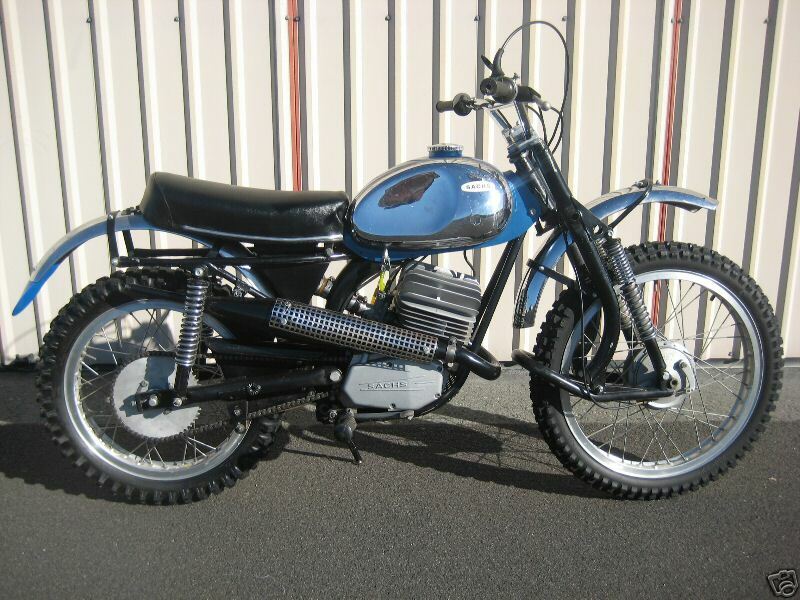 1966 Sachs Lebre 47cc. 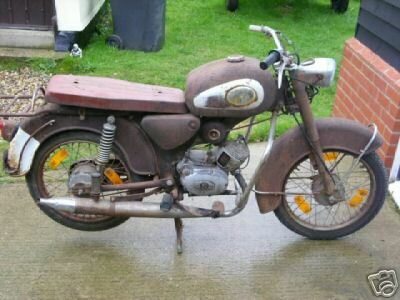 SACHS is the oldest motorcycle manufacturer in the world and in the 1960s produced a range of good quality mopeds and smaller capacity motorcycles - some of which found their way over here. 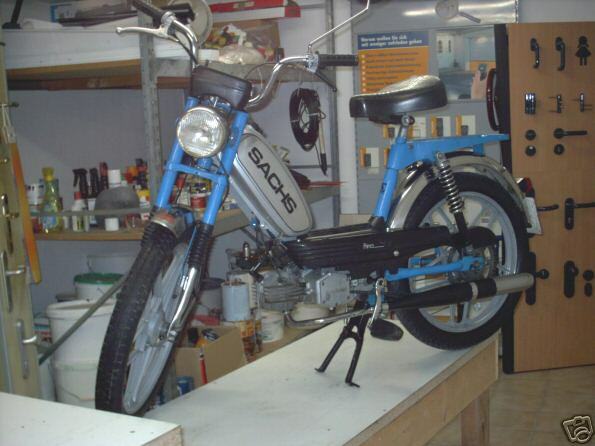 This model shows that their two stroke engine design was ahead of their contemporaries and the styling was heading towards the sports moped of the 1970 although it still retained the deeply valanced mudguards of older models.